Some things never go out of style. These were the only baby booties that stayed on my babies and I made dozens of these booties in various fabrics and colors. 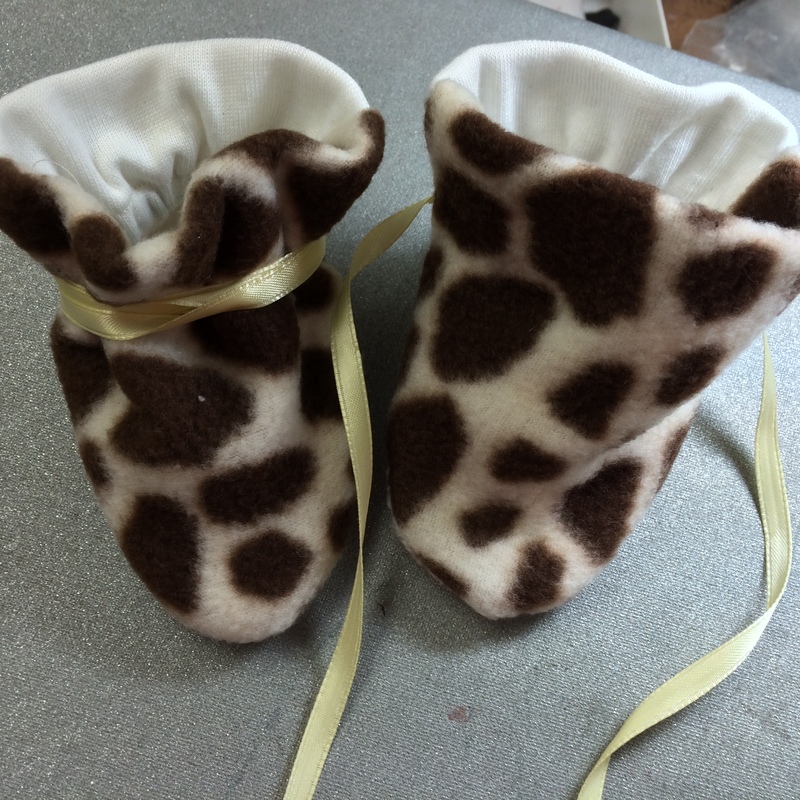 With just a bit of fabric left from the giraffe quilt, I decided that a pair of booties might make this mother happy. DH filled the feeder fairly tight and a bit above the sheep heads this time. I thought it was cute how they made these little holes with their mouths. 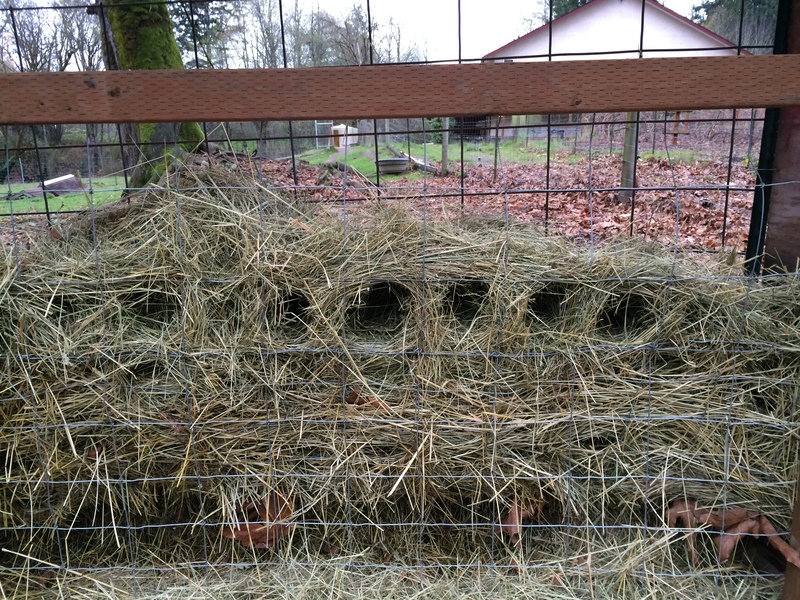 Tomorrow this will all collapse as they eat more and the hay becomes loose.